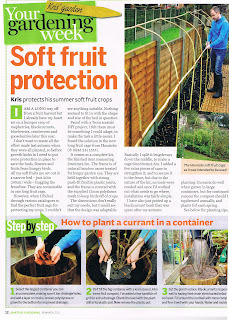 This entry was posted in Grandpa Haxnicks and tagged Fruit Cages on 23rd March, 2011 by Haxnicks. 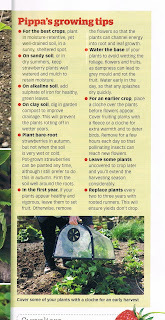 This entry was posted in Sarah & Guests and tagged Kitchen Garden Cloche on 8th March, 2011 by Haxnicks. It was only a small segment - but it meant a lot to us. 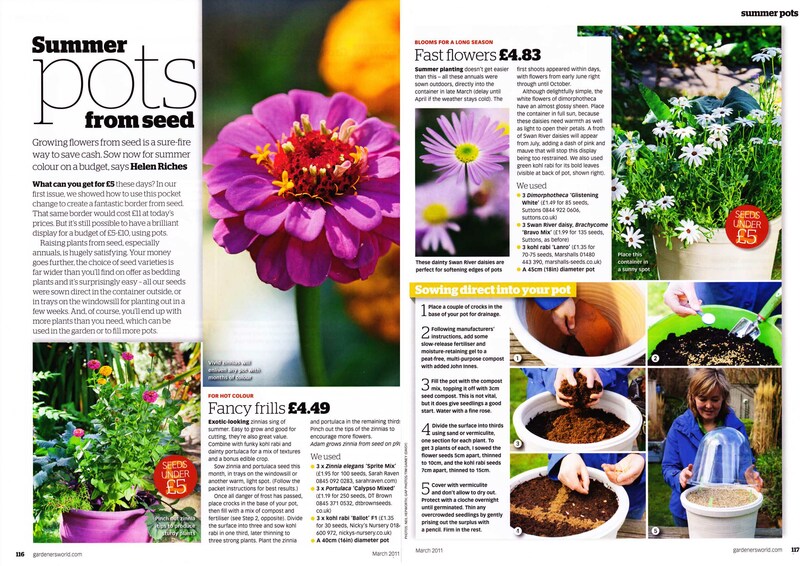 When we see our products in one of Britain's most popular and trusted Garden Magazines we do feel we must be getting something right. 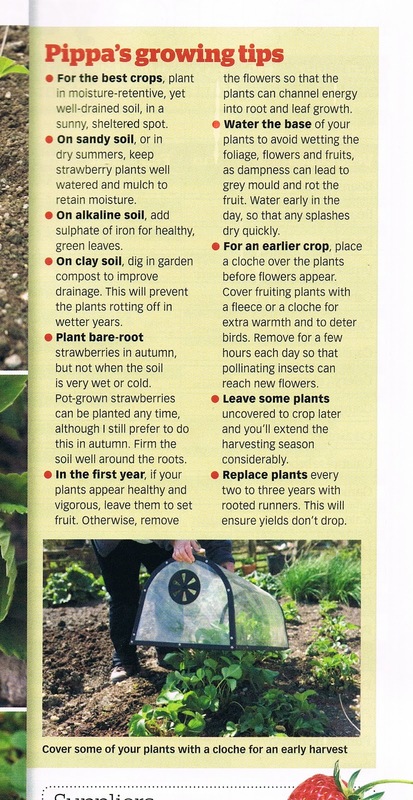 In the March Issue of BBC Gardeners World Magazine (also it's 20th Anniversary Edition), Haxnicks were mentions for Pots Naturally - our biodegradable pots, Victorian Bell Cloches (Helen Riches' article), Kitchen Garden Cloche (Pippa Greenwood's Growing Tips) and Rootrainers. The 'Step by Step' segment was about sowing Runner Beans and although you can usually just plant Runner Beans in ordinary pots, Lila recommended using Deep Rootrainers because these have the added benefit of encouraging the roots to grow downwards. 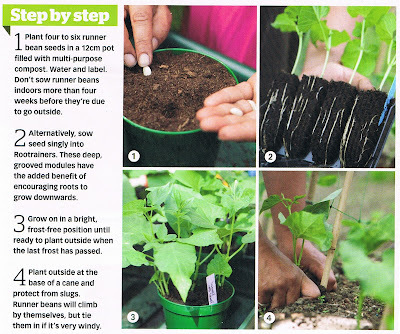 We would note they also allow extremely easy planting out as the book like Rootrainers can be opened and the plug removed without damage to the roots - something that cannot be said for ordinary cell trays. Here is the article in full, click to enlarge, or read more of Lila Das Gupta's articles online. Most Garden Centres stock Haxnicks Rootrainers and a we have a list of stockists available, alternatively you can buy online. However, we appreciate your feedback - have Rootrainers helped you? Do they make a difference? Let us know and leave us a comment, and why not send a picture of your results - we have a seperate section for customer's photographs. This entry was posted in Sarah & Guests and tagged Compact Rapid Rootrainers, Deep (Sherwood) Rootrainers, Low Maintenance Deep (Sherwood) Rootrainers, Low Maintenance Rapid (Shrub) Rootrainers, Rapid (Shrub) Rootrainers on 6th March, 2011 by Haxnicks.